Death is only the beginning…..
Really? For the most part, death is the end. It’s back to the tabular arrangement in order of atomic numbers for you, unless of course, you’re one of them ‘arty’ types, in which case you might believe or wish-think there is a after life. Anyway, here at OSS we love giving old skool muscle another round in the ring, all be it , after some ‘Frankinstien’ intervention. It’s a second stab at it, so to speak. Some do it by constantly evolving, others by digging up the forgotten. I’m ‘arty’ enough to be agnostic about life after death for us, but if there is an after life, when I’ve finally punched my ticket and I’m left for dead, please stick me on craigslist for $400, hopefully busa1300 will have a punt and bring me back. 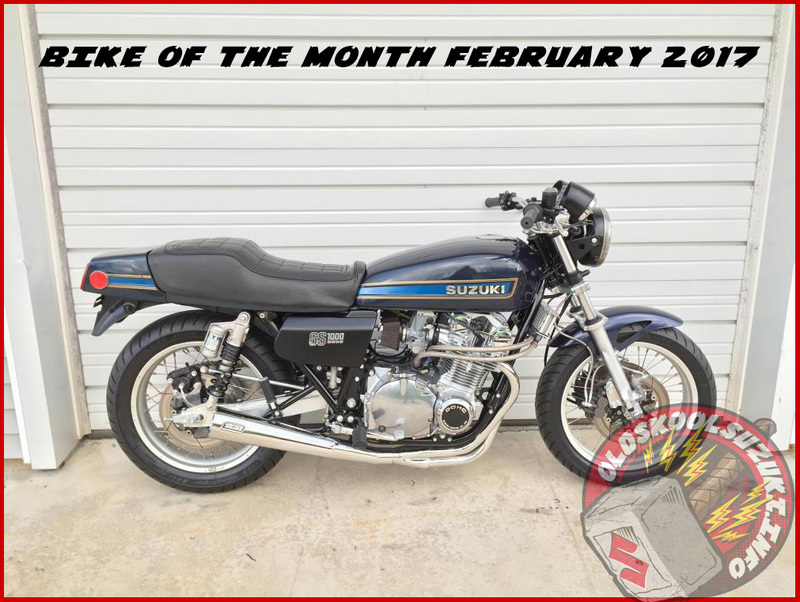 Congratulations Busa1300 your GS1000 resurrection is Bike of the Month.